This week’s post is the first part of a blog series presenting examples of widely-held beliefs about four topics—dietary fats, cholesterol, sugar, and exercise –that I suggest need to be revised and updated. This is important health information that Americans should be educated about to reduce the rising rates of obesity and diabetes in the US. It is time we revisit dietary fat guidelines. Since the 1980’s, Americans were led to believe that eating fats was unhealthy and would lead to atherosclerosis and heart attacks. 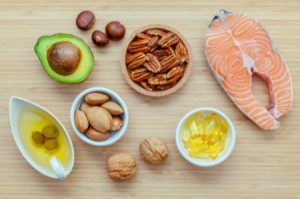 Fueled by claims that dietary fat, especially from meats and dairy, clogs our arteries and leads to heart disease, the US medical community backed a campaign that blamed fats for raising low-density lipoprotein (LDL) associated cholesterol molecules that cling to cells in the lining of the blood vessels, building up to a point that they block the arteries and lead to heart attacks. As a result, doctors, nutritionists, and food gurus everywhere started promoting low fat diets. People began substituting carbohydrates in their diets to replace the lost calories from fats. Rather than eating bacon and eggs for breakfast, many families turn to grain-based cereals (hot or cold), breads, donuts, and muffins. Smaller portions of meat for dinner are made up for with larger portions of rice, potatoes, pastas, and dinner rolls. Recipes abound that mix vegetables with pasta products and breading. In the past decade, the emphasis on “whole grain” breads, snacks, and even deserts has convinced the public that they are eating healthy. Today more than 50 percent of food energy of the average adult diet derives from carbohydrates. Some of the research about fat has been disproven and new research is furthering our knowledge that not all fat is bad. In the 1990’s, researchers began to make distinctions between saturated and unsaturated fats. They noted, for example, that people in Mediterranean countries had lower, not higher, levels of heart disease, possibly due to their diets rich in fish, nuts, olives, and vegetable oils that contained up to 40% of their calories from poly- and mono-unsaturated fats. Other research has shown that even saturated fats may not be as bad for the body as they have been made out to be. In addition, no large studies correlated saturated fats with an increased incidence of heart disease. 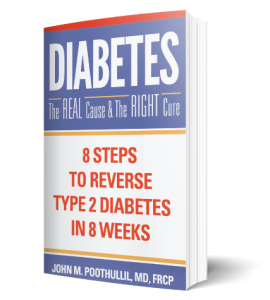 The low-fat diet has led directly to an explosion of obesity and diabetes. The scientific community has only recently had a major epiphany, recognizing that carbohydrates, not fats, present the greatest danger to our health. Some of the fat that fills your fat cells comes from the lipids in meats and dairy, but most of it derives from the glucose you consume in carbohydrates. The overconsumption of carbohydrates, not fats, has led to the fastest and largest increase in obesity, prediabetes and diabetes among Americans (and people in many other countries). Check in next week I will be discussing new findings on cholesterol and the body. Dietary cholesterol is a fat molecule that comes from animal products, not from plants. Did you know that even if you do not eat animal products, your body needs cholesterol and that your liver makes cholesterol from fatty acids derived from nutrients in your food?